SXSW EDU is full of opportunities to connect and network with others in the education community. 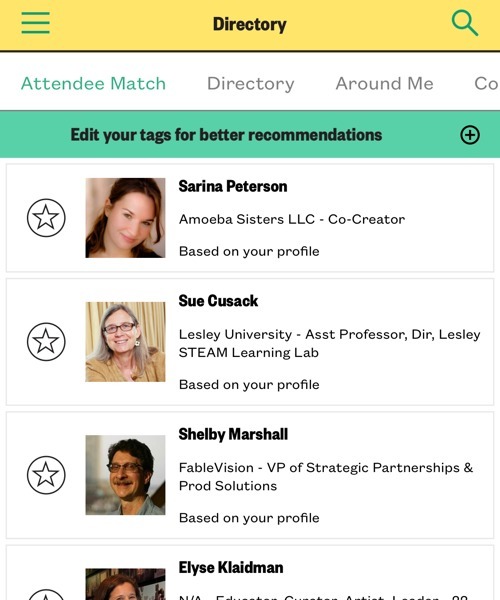 The 2019 SXSW EDU mobile app includes attendee match – a matchmaking feature that will recommend attendees with similar professional interest. Take advantage of attendee match to elevate your networking, before, during, and after the event. The attendee match feature is only available to registered attendees. Once you’ve purchased your badge you can begin using the tool to establish new professional connections. Start by downloading the SXSW EDU 2019 mobile app on iOS or Android. If you have not already linked your SXSW account to your badge, you will need to do so. 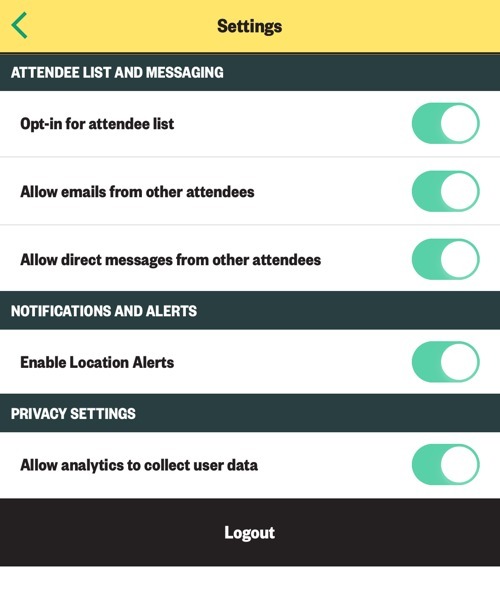 In order to use attendee match make sure that your profile is set to allow attendee list and messaging. You can check and change this by selecting the settings gear in the righthand corner of your profile. Attendee match is fueled by profile tags. You can edit and add tags in both the “My Profile” and “Directory” sections. Do not include a “#” in front of the word. Select from the pre-populated list of terms others have added, rather than adding new terms. 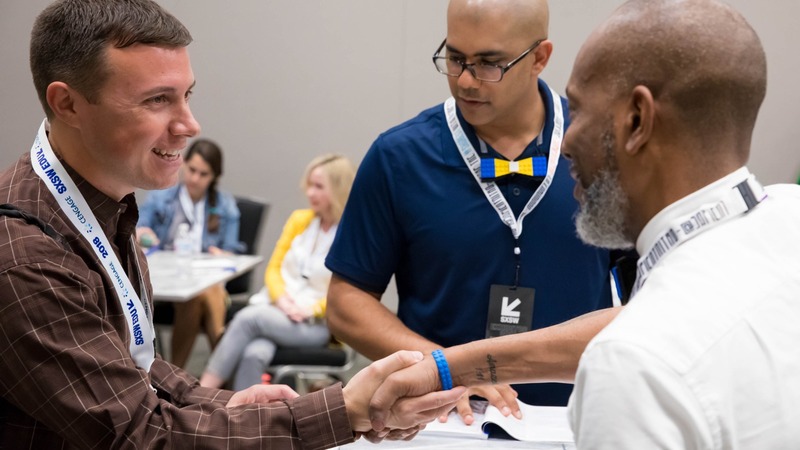 Find attendees that you are interested in connecting with and start networking immediately. Tap to view their profile to learn more, star them to add to your favorites for future reference, or send them a message. The app allows you to send direct messages through the app or as an email. Sent and received messages can be referenced at any time in the “Inbox” section of your profile. Be open about your goals, it will help set expectations on the front end. Ask questions! Check out our conversation starters if you need some suggestions. Ask to sync up during SXSW EDU. There are several networking events scheduled that provide the perfect setting for continuing the conversation. Don’t be spammy. Sales and marketing messages rub users the wrong way and discourages them from utilizing tools like this, please don’t do it. Make plans to join us in Austin for SXSW EDU, March 4-7, 2019. Check out the latest SXSW EDU news for more networking tools and tips! Attendee networking at SXSW EDU 2018. Photo by Steven Snow.